To transform schools into learning communities where thinking and Habits of Mind are taught, practiced, valued and infused into the culture. To create a more thoughtful, cooperative, compassionate generation of people who skillfully work to resolve social, environmental, economic and political problems. The Habits of Mind are dispositions that empower creative and critical thinking. Habits of Mind International has an outreach around the world. We have a growing team of affiliates, each representing the power of the habits in classrooms, schools, and communities. We have certified Habits of Mind Learning Communities of Excellence each committed to the Habits of Mind as central to a thoughtful learning environment. Our Institute offers professional development through virtual media, workshops, consultations, and conferences. Bena Kallick is a private consultant providing services to school districts, state departments of education, professional organizations, and public agencies throughout the United States and internationally. Her area of focus include group dynamics, creative and critical thinking, and alternative assessment strategies in the classroom. Kallick has taught at Yale University of Organization and Management, University of Massachusetts Center for Creative and Critical Thinking, and Union Graduate School. She served on the board of Jobs for the Future. Bena Kallick can be reached at kallick.bena@gmail.com. Arthur L. Costa is professor emeritus of education at California State University, Sacramento. He has served as a classroom teacher, a curriculum consultant, and assistant superintendent for instruction, and the direction of educational programs for the National Aeronautics and Space Administration. He has devoted his career to improving education through, more “thought-full” instruction and assessment. Art Coast can be reached at artcosta@aol.com. 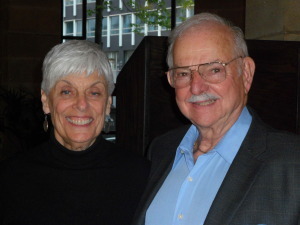 Art and Bena are authors of many books and articles, co-founders of the Institute for Habits of Mind and are recipients of the Malcolm Knowles Award for Self-Directed Learning fromt eh International Society for Self-Directed Learning.